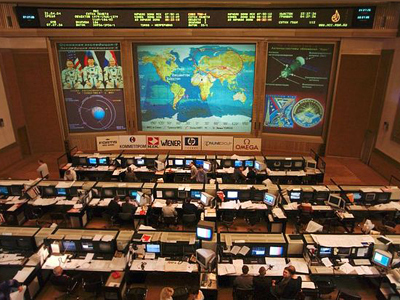 On Cosmonautics Day, the Russian space industry was promised billions in funding and its own ministry to maintain its edge in manned spaceflight, and to overcome delays in work on commercial communications satellites and socially important projects. 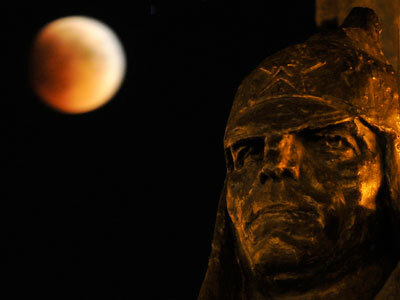 “In the 21st century, Russia should preserve its status of the leading space power. Therefore, the development of our space capabilities is set to be the top priority of state policy. Our attention to this industry will be increasing,” Russian President Vladimir Putin said. Putin said that by 2020, the Russian government is planning to allocate some 1.6 trillion rubles (about $52 billion) to the national space industry. By 2030, the turnover of the space industry globally might grow by five times, reaching $1.5 trillion from its current $300-400 billion. Russia must use this window of opportunity to ensure it achieves a leading role in the world’s space industry, Putin explained. Despite the progress it has already made, Russia’s satellite industry still lags behind the satellite programs of other industrialized states in the commercial and civil spheres. The Russian satellite industry must concentrate on “the most promising” application of science and technology, Putin said. For decades Russia’s space program has been primarily oriented towards manned space flights, which comprised 58 percent of the space budget. That explains the underfinancing of other space industries, such as communication satellites, remote mapping of our planet and deep space exploration. Russia must “keep the leader’s experience of the manned flights and catch up in other space exploration programs,” Putin said, adding that to achieve this, Russia is already constructing new launching site. Construction of the new Vostochny cosmodrome in the Amur Region in Russia’s Far East, near the Chinese border, will cost Russia almost $20 billion. 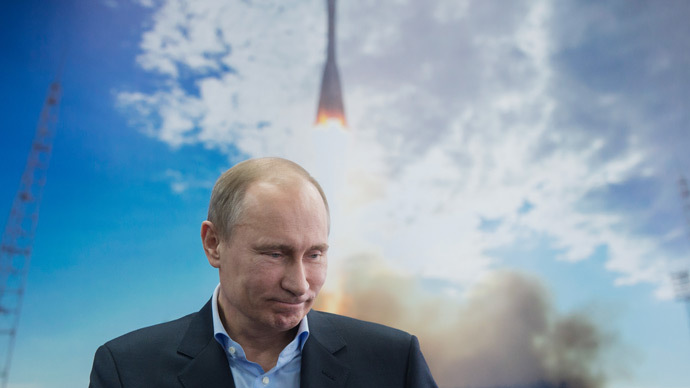 Putin said the installation will host a scientific center, and proposed a name for the town being constructed for the personnel of the launch site – Tsiolkovsky, for the founder of Russian and Soviet rocket construction, astronautic theoretician Konstantin Tsiolkovsky. 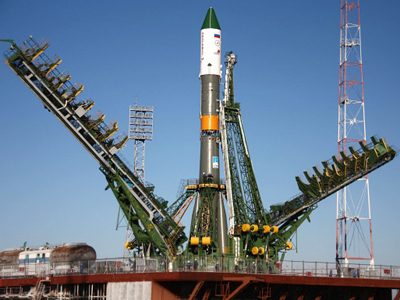 Vostochny Cosmodrome will feature two launch pads, one each for light- and medium-class Soyuz-2 rocket boosters. The pads are due to be completed by 2015. 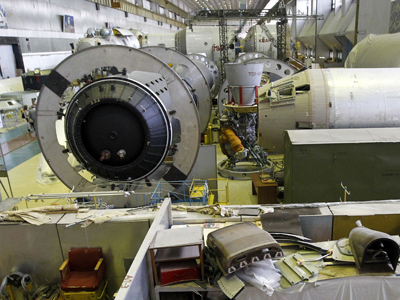 Beginning in 2018, Vostochny will be capable of performing manned space launches. But the development of new installations in Russia does not mean that the old Soviet Baikonur cosmodrome that Moscow is currently leasing out from Kazakhstan for $115 million a year will be suspended. With the contract valid until 2050, Russia would not abandon the world’s largest – though outdated – cosmodrome in Baikonur, Putin said. Simultaneously to the president’s visit to Vostochny cosmodrome, the Russian Parliament has proposed to make Cosmonautics Day, April 12, an official holiday celebrated nationwide. For over half of a century, the USSR and later Russia celebrate the day when Soviet cosmonaut Yuri Gagarin became the first human in space in 1961, when he orbited Earth for 108 minutes. In 2011, the UN established the International Day of Human Space Flight, to be celebrated on 12 April.